THE CELLAR - Dominio de Tares | Dominio de Tares es una bodega de vanguardia en la Denominación de Origen Bierzo. Located in the region of El Bierzo (León), the winery is settled in an exceptional area surrounded by high quality vineyards. Dominio de Tares combines tradition in growing and modernity in elaboration in order to get all the essence from the grape in the best conditions. Our aim is to produce great whithe and red wines which express the pure carácter of El Bierzo hollow. 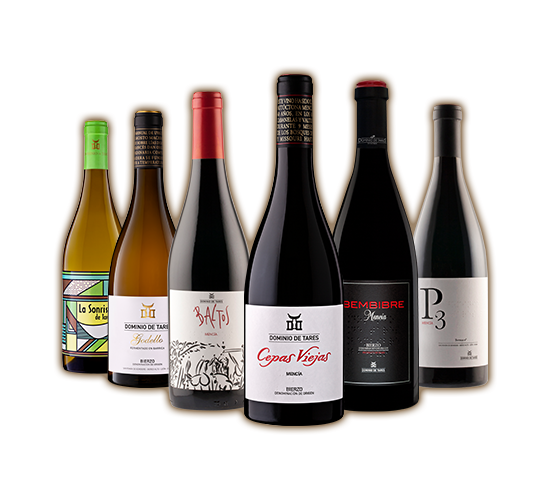 The geographical situation of El Bierzo, together with its morphological features and its microclima with smooth temperaturas and mild humidity, favor the production of great wines from indigenous varieties.